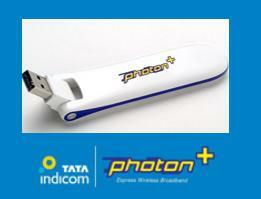 Tata Teleservices today launched Tata Photon Music, an exclusive website tataphotonmusic.com for Tata Photon Plus postpaid customers where they can view, play, download from the range of latest music, videos, ring tones, wallpapers, etc. With Tata Photon Music, customer can browse through a massive library of 200,000 plus items and download the best of Indian entertainment additionally, customers can search for a specific track, actor or a movie and can keep a track of his/her downloads. To download the content, customer has to visit www.tataphotonmusic.com and select their favorite music, video, ringtone or wallpaper. For all the Tata Photon Plus customers, unlimited download pack for Rs 99/month is available under which they can download tracks, listen to preview of tracks, download music videos, ringtones and wallpaper. This pack will be auto-renewed at the end of the user’s 30 day subscription period. Customers can access this service both from their laptop/desktop PC. how to unsubscribe my music from tata photon????? ?